On June 15, the Boston Bruins defeated the Vancouver Canucks 4-0 in Game 7 of the Stanley Cup Finals. And on the previous Sunday, June 12, the Dallas Mavericks beat the Miami Heat 105-95 in Game 6 of the NBA Finals to secure the franchise’s first championship. The media has celebrated both victories as a triumph of grit and hard work over finesse and pure talent. The streets of Vancouver may have erupted after the Canucks’ loss, but the team’s most potent offensive weapons – twin brothers Daniel and Henrik Sedin – were relatively silent throughout the Finals. The twins combined for two goals, three assists, and a minus- 4 rating during the Finals, but multiple writers came to their defense when commentator Mike Milbury referred to them as ‘Thelma and Louise’ (an inaccurate and offensive reference to their poor play) during a broadcast. 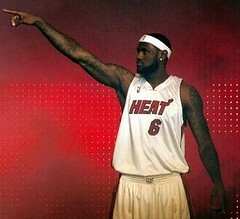 Miami Heat superstar LeBron James has his defenders, but much more ink has been spilled over his shortcomings. While Dallas role players like JJ Barea and DeShawn Stevenson played over their heads, LeBron failed to live up to his hype. Drafted 1st overall by the Cleveland Cavaliers in the 2003 NBA Draft, James was supposed to be the savior of a struggling franchise. He initially appeared to deliver on this promise, leading the Cavaliers to the playoffs every season between 2006 and 2010. The Cavs even made the 2007 NBA Finals, where they were swept by the San Antonio Spurs. Last summer, LeBron became a free agent. After being courted by numerous NBA organizations, he announced his decision to join the Miami Heat during an hour-long special entitled The Decision. The program was widely ridiculed as a lengthy and unnecessary spectacle, and basketball greats like Michael Jordan argued that it was inappropriate for LeBron to join a team of rivals in an attempt to chase a championship. But other criticism of James has come from the hockey world. Sam Fels, a Chicago Blackhawks blogger, wrote a piece on his blog Second City Hockey entitled “Viewing LeBron” (on NBC Chicago later cross-posted the piece under the title “What Hockey Fans Think of LeBron”). In his piece, Fels argued that hockey fans are turned off by the “bombast” of LeBron’s free agency and of the basketball culture in general. Fels’ argument is not completely without merit. Many people believed that LeBron should have committed to Cleveland for a few more years. And if the team still did not appear to be championship material by the end of this period, he could have left with a clear conscience. I believe that if he was set upon leaving the Cavaliers organization, he could have informed them earlier (instead of minutes before the ESPN special aired), and avoided the televised special entirely. It is important to emphasize that LeBron’s mishandling of his free agency was a personal mistake. Yet, Fels believes that the “bombast” of LeBron’s free agency is endemic to the culture of the NBA. The scandal surrounding LeBron’s free agency could be compared to the fracas surrounding Wayne Gretzky’s 1988 trade from the Edmonton Oilers to the Los Angeles Kings, or Bruins legend Ray Bourque’s 2000 trade to the Colorado Avalanche. Yet, the reputations of Gretzky and Bourque have remained intact. This is partly because the trades of Gretzky and Bourque were engineered by third parties. Gretzky had no idea that he was about to be traded, and during his tearful press conference, he was clearly reluctant to leave the Oilers. Bourque had expressed a desire to win a Cup before he retired, but Boston’s GM set up the trade with the Avs without consulting his star player. And in his piece, Fels argues that there is nothing wrong with leaving a cherished team to pursue a championship; LeBron and his fellow NBA players just lack tact. I believe that the NBA sells the game by marketing its stars, but any team sport requires contributions on all levels. Dirk Nowitzki may be the star of the Dallas Mavericks, but when he struggled to hit a 3 during the first half of Game 6, Jason Terry’s scoring touch bailed the team out. Jason Kidd is not a flashy player, but he is one of the NBA’s finest point guards. And Brian Cardinal, a career role player, used his body to foul Heat players at crucial moments. And despite his self-expressed appreciation for ‘hip-hop culture,’ Fels’ analysis of basketball culture is limited. The “bombast” that he identifies in basketball players is often a form of self-expression. For young, disenfranchised black men (and women), the basketball court (or blacktop/parking lot) is a place to come alive, a place to vent frustration, and a place to learn about life. For many of these young people, the court is a place where they can be irreverent, and where they can show flash and swagger without fear of censorship. The black socks, bald heads, baggy shorts, and courtside celebrations of the University of Michigan’s ‘Fab Five’ (Chris Webber, Juwan Howard, Ray Jackson, Jalen Rose, and Jimmy King) were eviscerated in angry, racist letters by ignorant alumni (go to the 3-minute mark of the linked video). What these alumni failed to realize was that these young black men were injecting a new freshness into an old game. Ice Cube reflected upon the cultural impact of the Fab Five in the titular ESPN documentary, arguing that “in the cultural sense, the [Fab Five] represented the homeboys and the homegirls.” Their undiluted boldness was appropriate for an era characterized by the Watts riot, the Rodney King beating, the twilight of crack epidemic, and, of course, NWA. 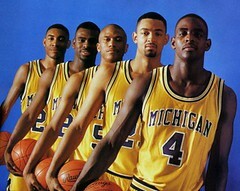 And at the time, the Fab Five harbored a special disdain for Duke and its star forward, Grant Hill. Jalen Rose generated a huge amount of controversy when he called Hill an “Uncle Tom” in the documentary. Hill was also a young black man, but he was the product of a wealthy, two-parent home, and attended an elite, private university with a reputation for recruiting clean-cut players. The tension between Rose and Hill ignited a conversation about class dynamics within the black community, but it also showed that there are multiple ways to be a black basketball player, and that generalizations and stereotypes are fruitless. There are many criticisms that could be leveled at the NBA, but Fels’ essay does not make those criticisms. He uses evasive language to express his discontent with the NBA, but the disdain that he feels for NBA players is the same disdain that the Michigan alumni felt for the Fab Five. The sentiments expressed in Fels’ essay are culturally racist; that is, they operate under the assumption that black NBA culture is fundamentally flawed, and inferior to the predominately white NHL culture. The cultural landscape surrounding hockey is very different. 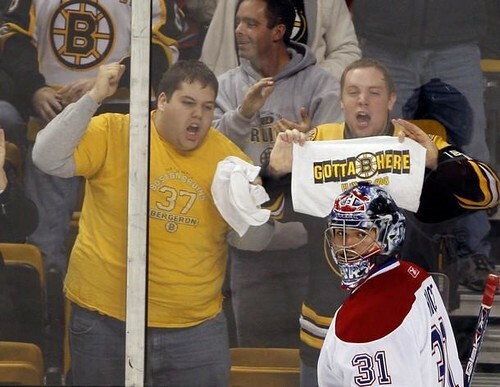 NHL fans celebrate the grittiness of their athletes. Hockey players are expected to play through severe pain, and in the playoffs, injuries are not disclosed until the end of a series. NHLers are supposed to be polite to reporters and fans, and controversy is avoided at all costs. There aren’t supposed to be any characters in the National Hockey League (i.e., Ron Artest). The reality doesn’t always fit the image, but regardless, it is embraced wholeheartedly. On average, hockey fans are wealthier than NBA, MLB, or NFL fans (with an average yearly income of $104,000), are more educated than fans of other sports (68% of hockey fans have attended college), and are more likely to be fully employed than other fans (64% hold full-time jobs). 2010 data from SportsBusiness Journal Daily shows than NHL fans are more likely to be male (63.6%) and white (86%) than MLB, NBA, NFL, MLS, or NASCAR fans. And these fans gravitate towards athletes that display the white, male upper-middle class propriety that they probably attempt to replicate in their own lives. It is worth noting that there are prominent blacks in the NHL. 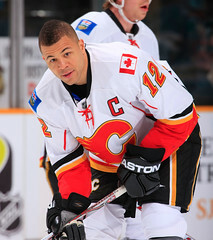 Biracial Canadian Jarome Iginla is the captain of the Calgary Flames, and has won every major hockey award except the Stanley Cup. Iggy, as he is called, is beloved for his on-ice grittiness and off-ice generosity. Canadians PK Subban and Evander Kane are promising young talents. All three men are well-respected, though Subban has received heavy criticism for being “a pest” on the ice (many have also wondered if the controversy surrounding Subban is racially motivated). When I connected hockey fans’ dislike of basketball to racism in the comments section of Fels’ piece, I was met with immediate backlash. Some commenters did acknowledge that hockey fans’ animosity towards basketball could be connected to racism, but they expressed similar disdain for NASCAR and white ‘Southern culture’ (which varies from state to state), or expressed frustration with what they perceived as poor NBA officiating. Similarly, another commenter said that NBA culture does transfer “the worst traits of American society like no other sport does.” The Vancouver riots – both the 1994 and 2011 editions – incurred over a million Canadian dollars in property damage, and showed us that people of all races can embody the ‘worst traits of American society.’ But the discourse surrounding the riots has focused on the cleanup efforts. There have been no sweeping calls to change hockey culture, and no one would suggest that the population of Vancouver is fundamentally depraved. Some rioters have been demonized on social media sites – incriminating Facebook statuses have been reposted and ridiculed on Tumblr – but public disdain has focused on the rioters’ deeds and not their racial identities. The racially-charged comments about Fels’ piece continued. One commenter argued that he couldn’t be racist because some of his favorite Chicago athletes were black. And my favorite quote expressed frustration with NBA players who were “ensconced in their own bubbles of luxurious isolation, replete with a retinue of hangers-on and mooches from their younger days.” This particular commenter said that NBA players were incapable of showing generosity like Washington Capitals forward Brooks Laich, who stopped to change a woman’s tire after being eliminated from the playoffs last year. (Laich is also a prized UFA, and the embodiment of the NHL aesthetic). I don’t know of any NBA players who have pulled over to change a fan’s flat tire, but retired Alonzo Mourning’s foundation, AM Charities, is one of the best-run NBA player organizations. Under the auspices of AM Charities, Mourning has raised funds to build the Overtown Youth Center in Miami and sponsors the Honey Shine mentoring program for girls. AM Charities’ flagship event is “Zo’s Summer Groove,” a five-day event – in its 15th year – that has raised over 7 million dollars for youth programs in South Florida. Many current and former NBA stars, including Mourning’s former Heat teammates Dwyane Wade and Gary Payton, have participated in the event. And Mourning’s work has also inspired younger NBA players like LeBron James and Chris Paul to do charity work. However, none of the Second City Hockey commenters mentioned NBA players’ charity work during their critiques of the league. They continued to insist that hockey fans are not racist, and argued that any discussion of race and sports was only meant to “ratchet up angst” by people who did not have a strong argument to make. Yet, their comments tell another story. There is nothing wrong with disliking basketball, but the commenters used code words (and sometimes didn’t use them) to mask contempt for black NBA players. If Sam Fels and the SCH commenters can express admiration for the gritty, ‘team-oriented’ ball of the Dallas Mavericks, they can surely acknowledge the positive actions of other black basketball players. And maybe, they’ll see that LeBron isn’t such a bad guy.